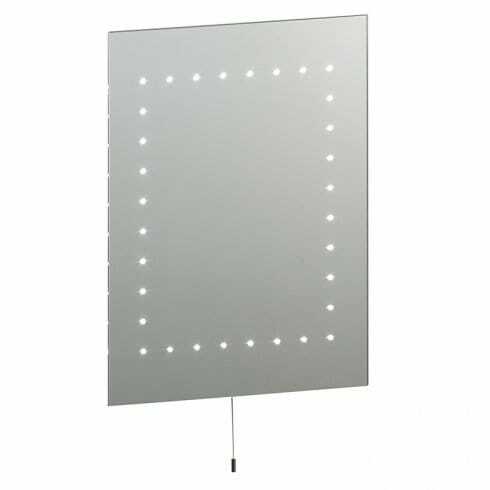 Endon Lighting Mareh LED illuminated bathroom mirror is a stylish rectangular design mirror with a frame of LED lights around the mirror. The product code for this Endon bathroom mirror is 13758. The Mareh is a stylish yet practical illuminated bathroom mirror, fitted with a pull cord switch and cool white LED lights making this a perfect choice for modern bathrooms.